Act 40 passed by the Louisiana Legislature in its 2001 regular session, enacted Chapter 8-H of Title 45 of the Louisiana Revised Statutes of 1950, and is comprised of R.S. 45:844.11 through 844.15 relative telephonic solicitation. The legislation enacted provides for a "Do Not Call" listing of residential telephonic subscribers; for listing procedures; the prohibition of certain acts; for notification; for penalties for violations; and for related matters. 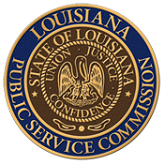 Additionally, the legislation directed the Louisiana Public Service Commission, no later than January 1, 2002, to establish and provide for a database to compile a list of telephone numbers of residential subscribers who object to receiving telephonic solicitations, and to promulgate rules to manage the "Do Not Call Program." In response to this legislation, a notice of proposed rulemaking was published in the Commission's Official Bulletin on August 3, 2001. Comments were received and a technical conference was held on September 27, 2001. In its Open Session November 7, 2001, the Commission voted unanimously to accept the Staff recommendation, with amendments, and approved the General Order. Subsequently, a notice of proposed rulemaking was published in the Commission's Official Bulletin on December 20, 2002 under Docket Number R-27021. Docket Number R-27021 was designed to modify the General Order dated November 7, 2001. Timely written comments were received and a technical conference was held. A proposed General Order was modified by the staff to reflect this input. In its Open Session April 23, 2003, the Commission voted unanimously to accept the Staff recommendation, with amendments. The General Order was drafted with the amendments and signed effective, May 16, 2003. Subsequently, in its Open Session June 18, 2003, on a motion of Commissioner Field, seconded by Commissioner Dixon, and unanimously adopted, the Commission voted to reconsider the previous General Order dated May 16, 2003. On motion of Commissioner Dixon, seconded by Commissioner Field, and unanimously adopted, the Commission voted to amend the General Order dated May 16, 2003, track the "Do Not Call" legislation, including the recent amendment passed by the Legislature as Act 353 and signed by the Governor on June 1, 2003, that exempts the newspapers from the "Do Not Call Program." The General Order was drafted with the amendments and signed effective July 10, 2003. In Regular Session 2004, the legislature recognized that the federal government had created a National Do Not Call Registry and enacted rules and regulations pertaining to unwanted telephonic solicitations, which rules and regulations preempt any less restrictive state law. The legislature found that adoption of the National Do Not Call Registry combined with the state "do not call" listing will better protect residential telephonic subscribers from unsolicited and unwanted telephonic solicitations and make it easier and less complex for telephonic solicitors to comply with all applicable rules and regulations. A recommendation was drafted by Staff to reflect changes enacted in the Regular Session 2004. The Commission considered the matter at the December 8, 2004, Business and Executive Session. Commissioner Campbell moved to defer this item until next month in order to receive additional information, which motion was seconded by Commissioner Blossman. On substitute motion of Commissioner Field, seconded by Commissioner Sittig, with Commissioners Blossman and Dixon concurring, and Commissioner Campbell dissenting, the Commission voted to accept the Staff recommendation. The Do Not Call Program General Order was signed and became effective January 18, 2005. See General Order dated	January 18, 2005.